The International Press Centre (IPC), Lagos-Nigeria has described the invasion of the premises of Premium Times in Abuja and the subsequent arrest of its Publisher, Dapo Olorunyomi and the judiciary correspondent, Evelyn Okakwu by armed police men on the night of January 19, 2017, as an unacceptable assault on freedom of the Press. Director of IPC, Mr. Lanre Arogundade said in a statement today (January 20, 2017), that the attack on Premium Times as well as the harassment of other journalists in recent times are completely antithetical to democratic values and norms at the core of which are the rights to free speech and media freedom. 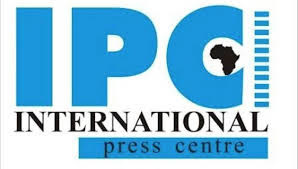 “Any government that makes the Press its enemy, will invariably turn to be the enemy of the people as was recently the case in The Gambia where Yaya Jammeh was rejected by the people due to his constant attacks on the Press among other human rights violations”, the IPC Director warned. According to the IPC Director, the Police should not allow itself to be used to settle scores by vested interests, in this case the Army authorities, which have already made public its disagreement with Premium Times over certain publications by the media outlet pertaining to the office of the Chief of Army Staff. “The Police should however make public its reasons for the raid of Premium Times and the arrest of Olorunyomi and Okakwu if they believe that it is not connected with the dispute with the Army authorities”, he said further. The IPC Director, said however that the organization welcomes the fact that the Police authorities promptly released the arrested Publisher and Reporter following public outcry. The IPC Director, also said that recent developments have made it imperative to have a national stakeholders’ dialogue involving media institutions, the security and law enforcement agencies, the media regulatory agencies etc, to discuss measures for safeguarding press freedom and the sustenance of democratic values.